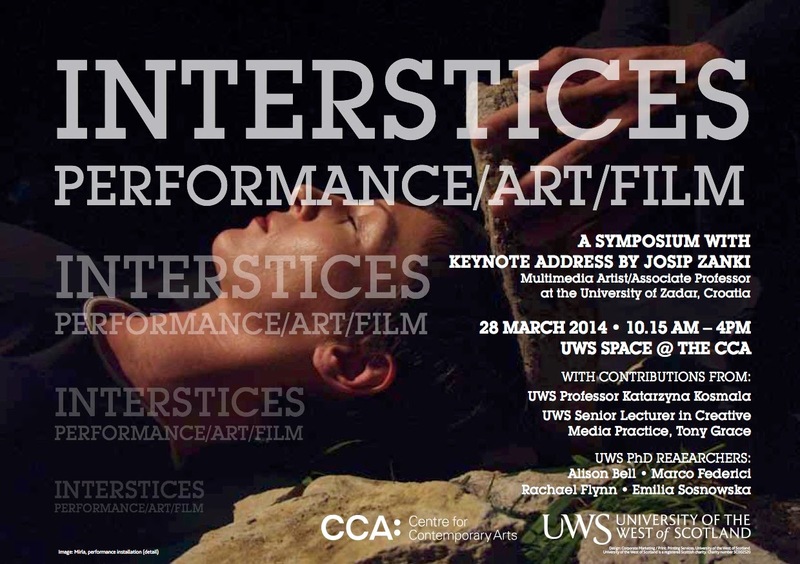 A symposium in the UWS space on Friday 28th February at CCA Glasgow with contributions from PhD students, Professor Katarzyna Kosmala and Tony Grace. Keynote presentations from Josep Zanki, Associate Professor at the University of Zadar, Croatia. Over last 17 years I recorded and researched burial phenomena of Mirila in mountain Velebit (West Balkans) and its surroundings, comparing my findings with rare scientific texts and folk tradition. Together with artist Bojan Gagić l created site specific interactive installations of Mirila, recreating and deconstructing an old tradition in contemporary art in a gallery context and other spaces. The session will be focused on explanation of Mirila phenomena, audience and artist experience in performance installation and documenting. The attitude of artists towards their own physical body has been changing over time, conditioned by various cultural frameworks. The seminar will be focused on examination of examples of contemporary art in the Balkans, which is based on the redefinition of the artist’s body or of the observer of a work of art. I will also point out the connection between ritual actions and performance and interactive installations in the works of Maja Rožman, Vladimir Dodig Trokut, Marina Abramović and Martina Mezak as well as my own practice. Sounded like an interesting presentation.